One of his clients said: "This man goes out of his way to ensure your furry baby is taken care of in every possible way. We have moved hours away over the years and still travel all the way to Dr Tim when our dogs need him. No one lives up to this veterinarian." Brilliant person, brilliant vet....just meet him and you'd know he'd be great on TV!...great sense of humor, enormous generosity, knowledgeable, interested and makes his knowledge interfering when he shares it, always has a good laugh....exceptional person! I have been working with Dr Tim for nearly 7 years. Tim is a great boss who is a very supportive work buddy with great energy and enthusiasm. I continually see him show a professional manner and compassion. All this while offering continued guidance to the new graduate vets. Dr Tim has treated all my dogs since he started always with so much care and compassion. Would be the best to replace Dr Brown. Tim is amazing he explains any procedures. He remembers the treatments he has administered and asks how the pet is going even though it can be weeks since he has seen your pet. Kind compassionate man who case not only for our pets but for the owners. Tim has cared for all my kitty babies for over 15 years. He has my complete trust when it comes to the ones I love. His involvement over the years with the RSPCA and now RCR is extremely admiral. "Love your commitment Tim, keep it up." 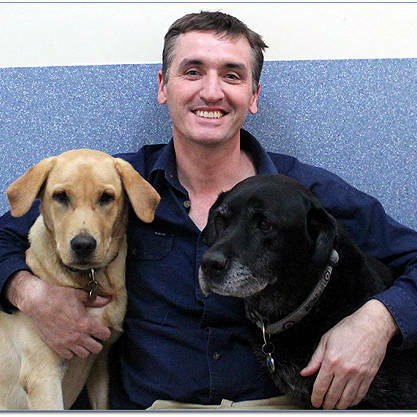 Dr Tim is a fantastic vet, compassionate and will put you at ease. He operated on our 15.5 year old dog, and when we got him home he was like a new puppy! Top Bloke!